Our super popular, limited edition scrubs are back! 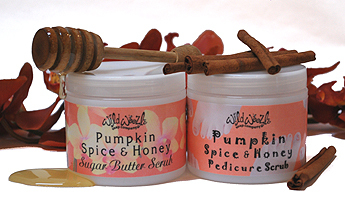 It's time to treat your dry skin to the season's most delicious fragrances-- honey, pumpkin, and gingery spice--all wrapped up in organic sugar, exotic butters and oils, and sweet honey. Gently smooth away tired, dull skin and renew your glow.